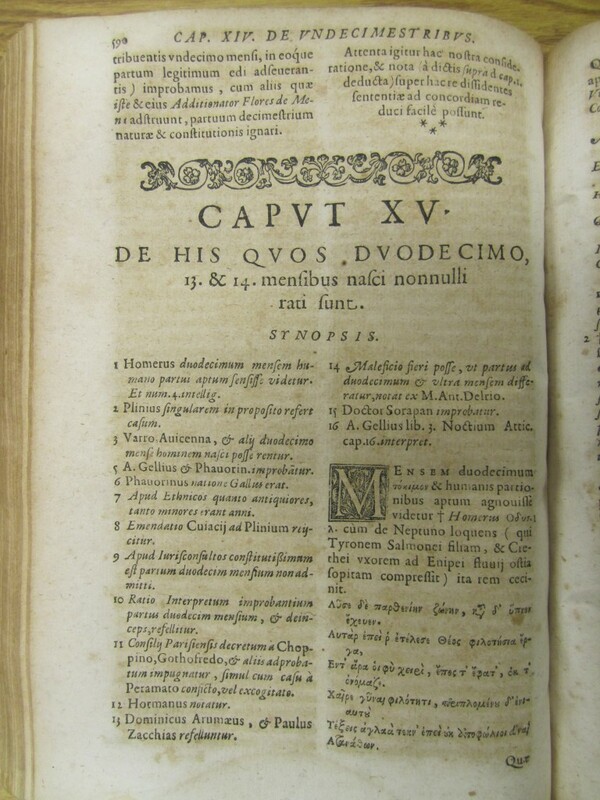 A recent Library of Congress blog post highlights a work in their archives, Tractatus juridicus & practicus, de partu by Alonso Carranza (1629). From our viewpoint this 17th Century piece is a token of history once serving as a legal treatise. A treatise that combined religious and scientific beliefs, developing arguments for use in law. The book’s catalog page helps us understand the topics covered with the caveat of “Religious Aspects” and “Early Works to 1800”: pregnancy terms, embryology, inheritance and succession, abortion, and medical jurisprudence. The LOC blog mentions other details. Details that could inform potential additions to the subject headings such as: witchcraft and family law. The digital scans of the brown withered pages, old font style, and an older legalese version of French language makes me think of times long forgotten and parts of our ancient history. However, issues tackled by Carranza still capture the US Court’s attention, keeping the topics contemporary. For example, The National Center for Science Education has a web-page dedicated to Ten Major Court Cases about Evolution and Creationism, with the most recent US District Court ruling in Kitzmiller et al. v. Dover (2005). The history and currency of it all proves eerie and exciting, exposing where humanity has stood, where it stands, and where it hopes to go.